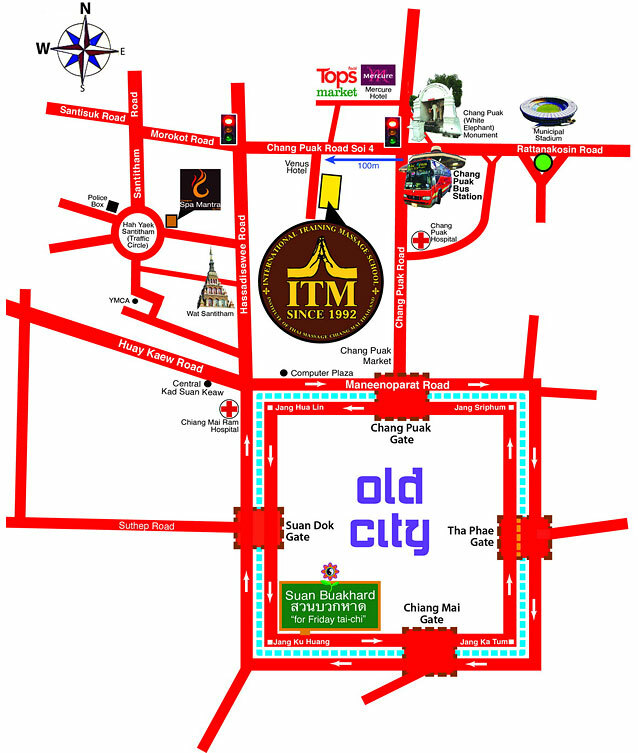 ITM is located in Chiang Mai, the beautiful city in the north of Thailand. The city itself is famous for peacefulness, landscape, and culture. 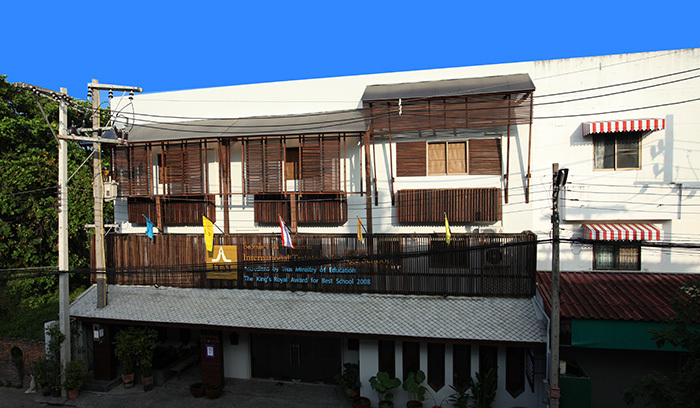 ITM is in the northwest corner of the moat, only 15-minute driving from Chiang Mai Airport, and 20-minute walking to the downtown. There are 3 large rooms for classes, all clean and air-conditioned. Click here if you want to contact us. Visitors to Chiang Mai will generally arrive in Bangkok. Chiang Mai is north of Bangkok by 800 km/480 miles. You have several options for travel including plane, train, bus or car. By bus: 8 hours, fare is about 450 - 550 Baht. Then take a taxi (50-100 Baht) to ITM. Several ordinary and air-conditioned buses leave daily from Bangkok's Northern Bus Terminal (also known as Mo Chit) on Kamphaeng Phet 2 Road. Most air-con buses leave between 20.00 and 22.00 hours and it takes about 10-11 hours to reach Chiang Mai. There are also private buses which can be conveniently booked in other tourist-oriented places in Bangkok. But the public buses from the Northern Bus Terminal are generally more reliable.